When I met this couple, they had a little secret that they couldn’t wait to share. 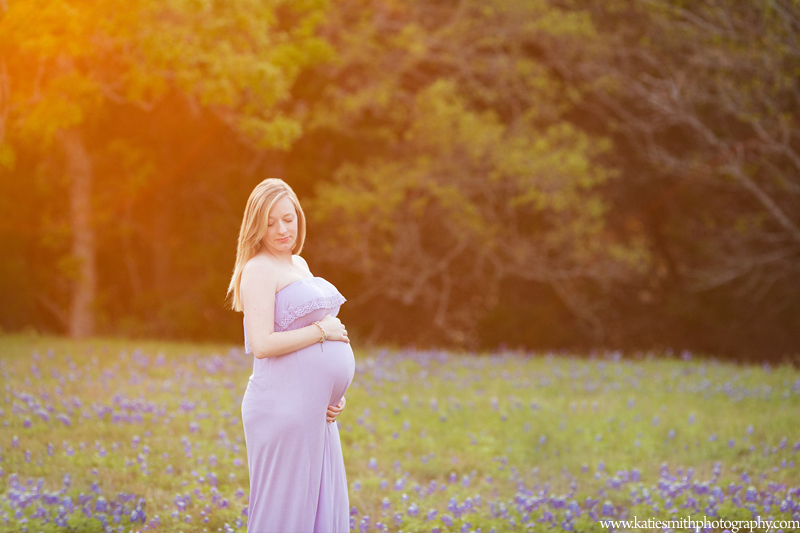 I kept their little secret until last month when Mama-To-Be came back to see me for maternity photos in the bluebonnets. She is so beautiful and has that perfect glow about her. I’m so excited for her and her husband to be holding their daughter this summer. Their shih tzus are going to make the sweetest furry sister and brother. We met at Overlook Park in Belton, a popular spot to find photo-friendly bluebonnets and walked to a perfect little patch of bluebonnets where the sunset perfectly through the trees. I absolutely adore this spot. After the bluebonnets started to wilt, they were replaced with yellow and purple flowers. If you’re looking for a place to take a casual walk, maybe have a picnic, and watch a sunset, you’ll definitely want to check this place out. Thanks for coming back and seeing me, A! I can’t wait to meet your little girl. 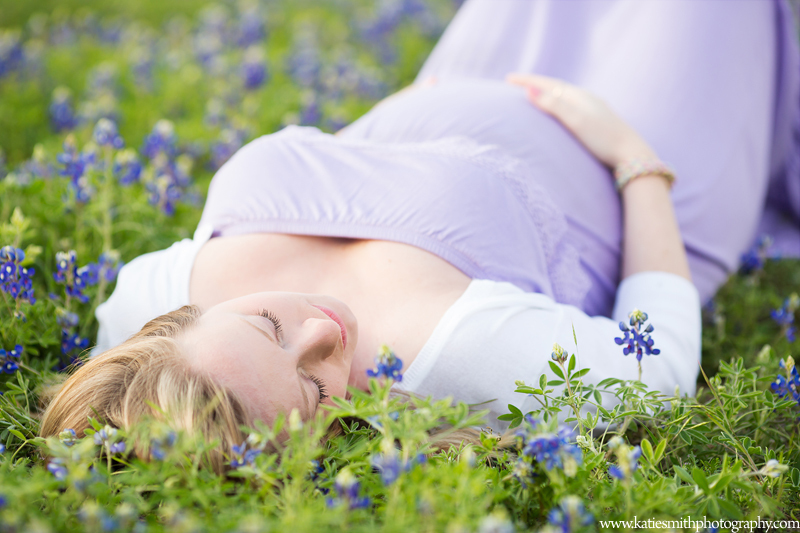 Katie Smith is a family and couple’s photographer located in Killeen, Texas. 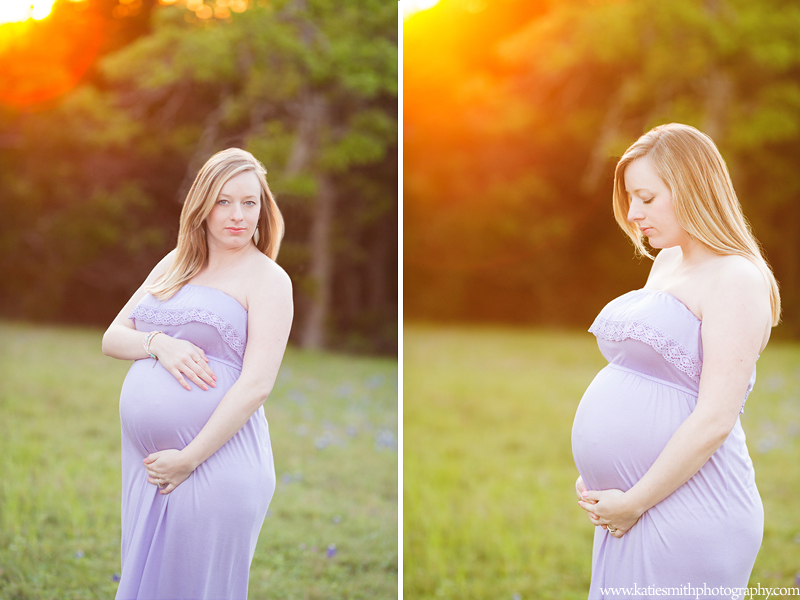 She’s a sucker for perfect baby bellies, sunsets, and that hour of golden light at the end of the day. When not photographing beautiful moms-to-be, she likes to reminsce about her own pregnancy like the time she and her husband went to the grocery store at 2am for doughnuts because the baby was craving raspberry-filled awesomeness. Like these images? Like Katie Smith Photography on Facebook for all the latest images, news, and specials. Ready to book your session? Please use this form.